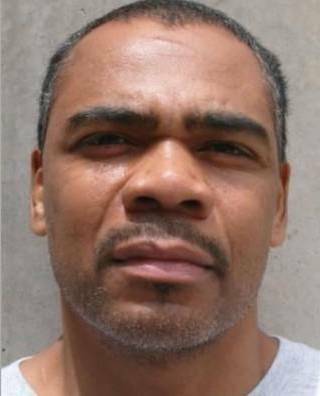 A federal appeals court has vacated the conviction and death sentence of Patrick Dwayne Murphy (pictured), a Native-American death-row prisoner in Oklahoma from the Muscogee (Creek) Nation, holding that the state lacked authority to try him for a murder that occurred within the borders of the Creek Reservation. On August 8, a unanimous three-judge panel of the U.S Court of Appeals for the Tenth Circuit sided with Murphy and Native American friend-of-the-court advocates in designating a region that spans eleven counties across Oklahoma—including most of Tulsa—part of “Indian country,” subject to exclusive federal jurisdiction for certain crimes enumerated under the federal Major Crimes Act. “Mr. Murphy is a member of the Muscogee (Creek) Nation,” the court wrote. “Because the homicide charged against him was committed in Indian country, the Oklahoma state courts lacked jurisdiction to try him.” The decision does not absolve Murphy of potential criminal liability for the murders: "The decision whether to prosecute Mr. Murphy in federal court," the Circuit panel said, "rests with the United States." The land in issue—falling inside the reservation boundaries of the Creek Nation drawn by the United States in 1866—has long been claimed by the Muscogee (Creek) Nation and lawyers for the Muscogee (Creek) Nation, the Seminole Nation of Oklahoma, and the United Keetoowah Band of Cherokee Indians in Oklahoma had filed amicus curiae briefs in the case arguing that it constituted Indian country under federal law. Judith Royster, an expert on tribal law at the University of Tulsa, said that the court's ruling reaffirms that claim. However, the decision's impact, she says, extends beyond the Creek Nation: "any crime committed by or against an Indian, not just a Creek citizen, but any Indian, in the boundaries of the Creek reservation can no longer be prosecuted by the state of Oklahoma,” said Rosyter. The Creek Nation jurisdiction includes Hughes, McIntosh, Okfuskee, Okmulgee, Wagoner, and Creek counties and portions of Tulsa, Mayes, Seminole, and Rogers counties. Muscogee (Creek) Nation Principal Chief James Floyd celebrated the court’s decision. “Today’s unanimous decision is a complete and unqualified victory for not only the Muscogee (Creek) Nation, but all of Indian Country,” Floyd said. “This decision affirms the right of the Nation and all other Indian Nations to make and enforce their own laws within their own boundaries.” Murphy first raised the jurisdictional issue in his second application for state post-conviction relief in 2004 after losing prior court challenges to his conviction and sentence, including one that claimed he should not be executed because he is intellectually disabled. The decision is the second since 2013 vacating an Oklahoma capital conviction for murders occurring on tribal lands. That year, the Tenth Circuit overturned David B. Magnan's conviction and death sentence after determining that the offense had been committed on Seminole-owned land. Magnan was then tried in federal court and sentenced to life in prison. Sixteen Native Americans have been executed in the United States since 1993, including three—Scott Dawn Carpenter, Jerald Harjo and Terrance James—who were tried in Oklahoma counties that have now been declared partially under the jurisdiction of the Creek Nation. (C. Killman, "Experts: Court ruling overturning Native American man's murder conviction, death penalty could have huge implications," Tulsa World, August 8, 2017; G. Brewer, "Federal Court Vacates Native Man’s Death Sentence," Indian Country Today, Aug. 9, 2017.) Read the decision of the U.S. Court of Appeals for the Tenth Circuit here. Read the amicus brief submitted on behalf of the Seminole and Cherokee Nations here and the amicus brief of the United Keetoowah Band of Cherokee Indians in Oklahoma here. See Native Americans and Oklahoma.